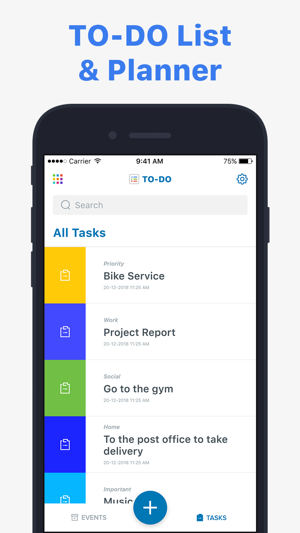 • To Do app : Auto-renewal (Weekly $2.99) begins after 3 days of free trial. • To Do app : Auto-renewal (Monthly $9.99) begins after 3 days of free trial. • Any unused portion of a free trial period, if offered, will be forfeited when the user purchases a subscription to that publication, where applicable To Do app adds the great features above and are available through an auto-renewing subscription. Subscriptions will be charged to your credit card through your iTunes account. Your subscription will automatically renew unless cancelled at least 24 hours before the end of your current subscription, and you can cancel a subscription during the active period. You can manage your subscription at any time, either by viewing your account in iTunes from your Mac or PC, or Account Settings on your device after purchase. - Ready to increase your productivity? Tell us your experience by leaving a review. I like to stay organized with sticky notes, pocket planners, and to do lists, but I decided that it might be easier to use my phone. Consequently, I downloaded various planner/reminder apps in order to see which one I found most helpful, user friendly, and practical. This app’s simple format and overall design is handy, but I fell that is it is lacking in a few features. 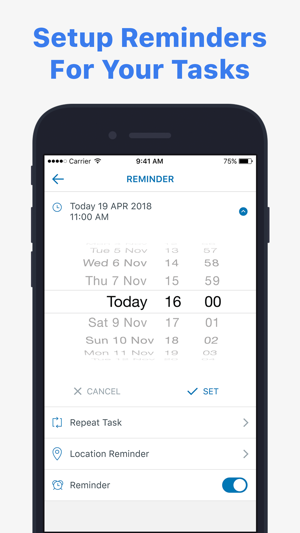 For example, when adding a reminder, the user is offered the option to either have the reminder be repeated daily, weekly, monthly, or yearly. I found it odd when there was no option for having the reminder never be repeated. With only a few details that could use improvement, I settled on a 5-star rating because the app doesn’t deserve a full star being taken away. I have downloaded so many planners and things like that to keep myself together but none of them have worked until I found this app! 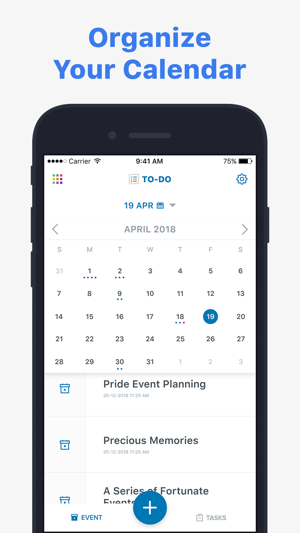 I absolutely LOVE this app and it is so helpful to see upcoming events and to set tasks I have for the day or even week. I find it really helpful but what I really like to use it for and is so so so helpful for is getting ready for an event that is happening the next day. I have used this every day since the day I got it and plan on using it far in the future! This app is so easy to use all you do is put it in and it will remind you it is great. Thank you, you have made my life so much better!!! Good app and concept, however there needs to be a way to make reminders not repeat and also the premium option should be a lot more affordable. People are not going to pay $50 a year for a reminders app. $3-4 a month would be smarter and make more profit. There should also be a way to have multiple reminders at different times before an event. I like the app and the categories but it should be worked on in the future to be a successful app.